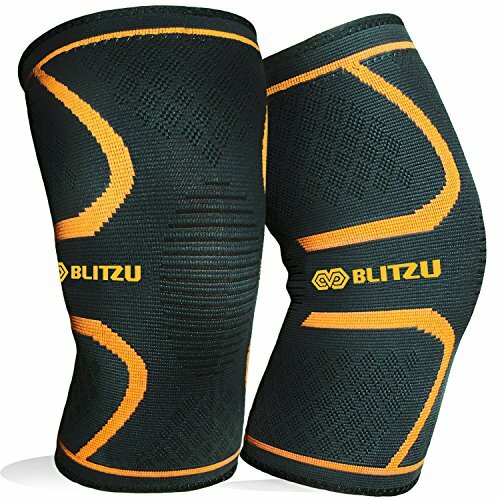 15-20 Mmhg Moderate Pressure, Common Starting Point For First Time Wear – Compression Strength For Minor Conditions. Below Knee Length, Closed-toe, Fashionable Sheer Style For Women; Lightweight Breathable Denier Fabric Resembles Dress Nylon Hosiery, Adds Shimmer And Sheen To Skin Tones; Roomy Closed Toe Pocket Will Not Compress Toes For Increased Comfort. Recommended For : Minor Varicose Veins, Minor Spider Veins, Edema, Dvt, Post-surgery, Swelling In Ankles Calf Feet, Enlarged Bulging Veins, Pregnant Nursing Expecting Mothers (when Recommended By A Doctor), Travel (prevents Blood Pooling And Clots In Frequent Flyers), Tired Aching Legs, Muscle Recovery Post Cardio Workout And Exercise. Beauty Shaping And Leg Contouring. 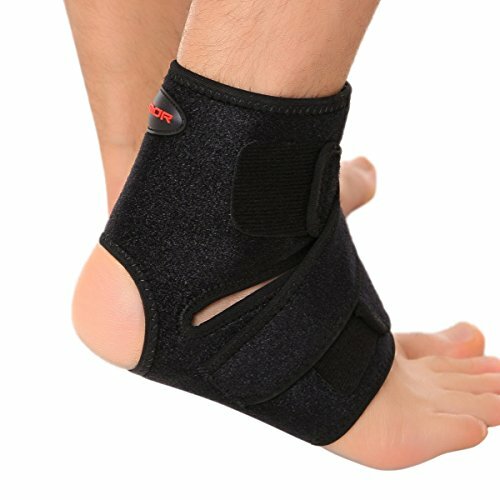 Wide Soft-top Band Prevents Rolling, Knit Heel Pocket Keeps Garment In Place; Graduated Compression Distributes A Therapeutic Massaging Pressure Gradient Up The Leg; Consult Your Physician For The Appropriate Level Of Compression. Moderate Strength 15-20 Mmhg Support For Mild Conditions; Shaping And Control To Smooth Skin And Figure; Commonly Used As The Starting Point For Everyday Wear, Travel, Leg Health, Prolonged Sitting Or Standing, Increased Blood Flow, Energy, And Recovery. Medical Application And Treatment For Minor Swelling, Aching, Discomfort In Ankle Legs And Feet; Minor Varicose Veins, Early Spider Veins, Enlarged Bulging Veins, Edema, Post Surgery, Varicosities During Pregnancy, Heavy Achy Legs, Tired Sore Leg Muscles. Features & Benefits Fashionable Sheer Knit – 20 Denier Dress Nylon Hose For Casual, Business, Or Formal Wear. Stay-up Top – Lined With Silicone Grip Ensures Stocking Remains In Place Throughout The Day. Knit-in Heel – Defined, Reinforced Heel Pocket Adds Durability And Provides Orientation For Anatomical Fit. Comfort Toe – Roomy Closed Toe Box Will Not Compress Toes And Eliminates Pressure And Chaffing On Sensitive Feet. 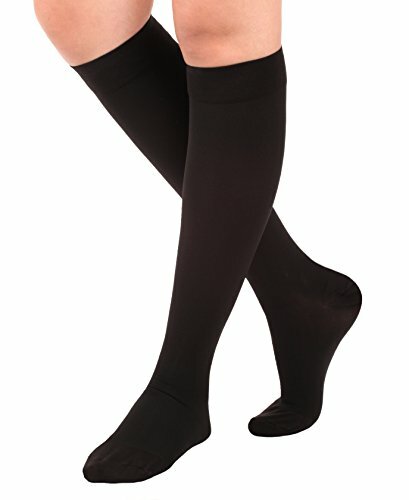 FASHIONABLY SHEER KNEE HIGH – MODERATE STRENGTH 15-20 mmHg Support For Mild Conditions. Made In Usa. Sheer Knee High Compression Stockings With Perfect Colors And Exceptional Support. Providing Long-lasting Support That Appeals To Today’s Active, Fashion Conscious Woman – Excellent For Any Business Or Casual Wear. 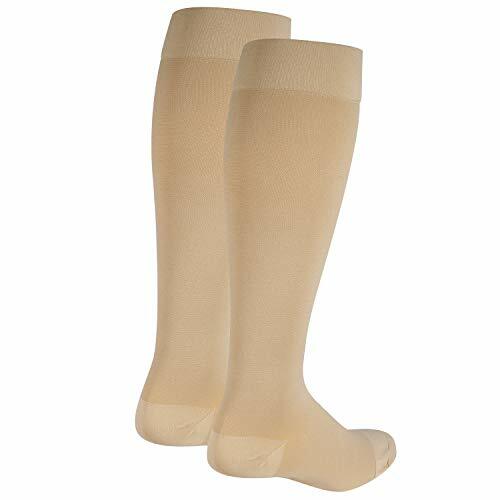 FASHIONABLE SHEER KNIT – 20 DENIER DRESS NYLON Hose For Casual, Business, Or Formal Wear .roomy Closed Toe, 2 Inch Comfortable Soft Top Band & Defined, Reinforced Heel Pocket Adds Durability. Looks And Feels Like Regular Knee Hi Fashion Hose. FOR THE PREVENTION AND RELIEF OF MINOR TO MODERATE VARICOSE AND SPIDER VEINS. Helps relieve tired, aching legs, and minor swelling of feet, ankles, and legs. During pregnancy, helps prevent varicose veins and spider veins.